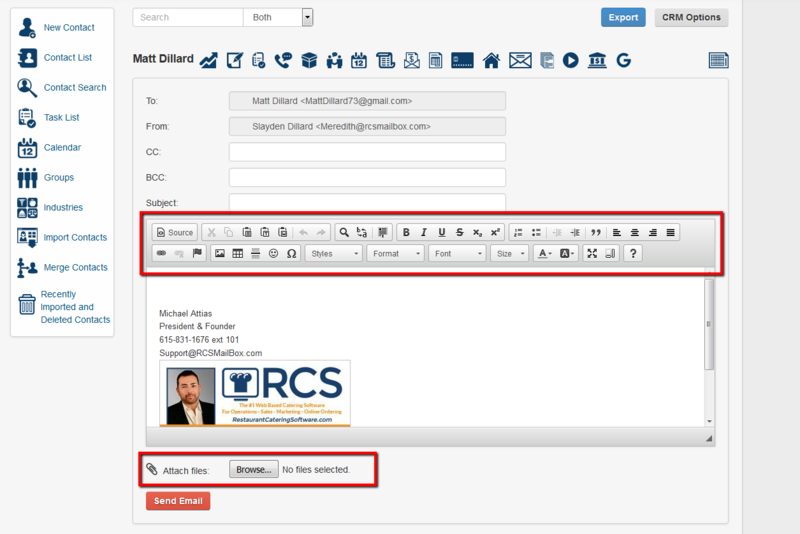 This article will go over how to send email an to a client using the CRM tab in CaterZen. Sending an email through the CRM will allow you to keep track of all the emails that you have sent to your prospect or customer. If the prospect or customer replies to the email then the reply will also be kept under their CRM record. 2 - Once you have clicked on the clients name you will see their record appear. Click on the Gmail icon. 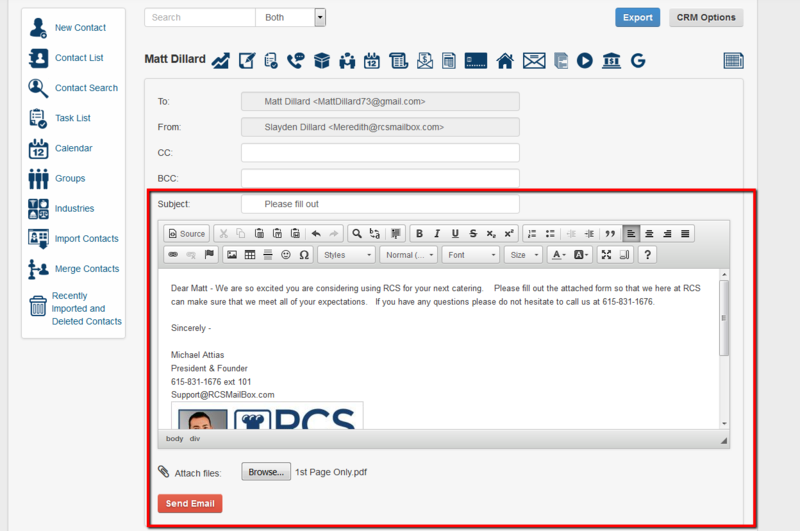 3 - An screen will appear allowing you to create an email to send to the client. Note you can change the font - size - placement - color - etc. You can also add images as well as attachments. 4 - Note also the Signature File that you created for the employee will automatically appear in the email as well. 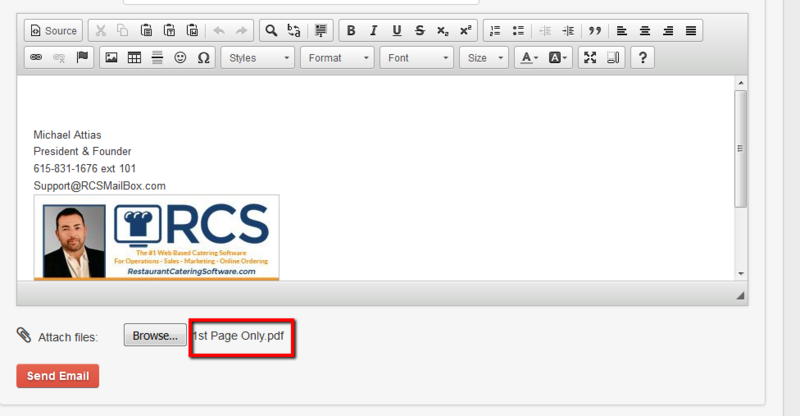 (please see article on how to add signature file). 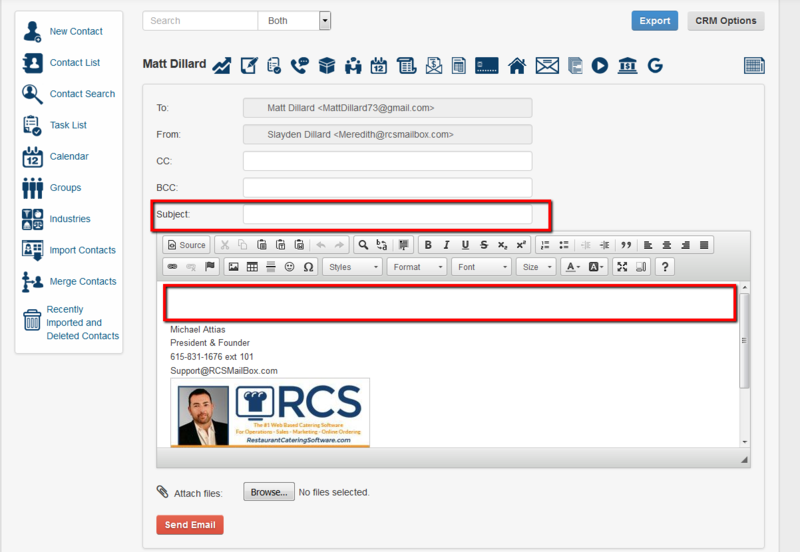 5 - Fill out the Subject line and the Body of the email. 6 - If you need to add an attachment click on the Browse tab - Locate the file in your computer - Upload the file. 7 - Your file will appear at the bottom once it has been attached. 8 - When ready you can send your email by clicking the Send Email tab. 9 - Once you send your email a pop up box will appear letting you know your email has been sent. Click OK.
10 - All Past emails will be kept under the clients record. You can view the email by clicking on the View icon found under the Action column. You have now sent an email through your CRM tab. 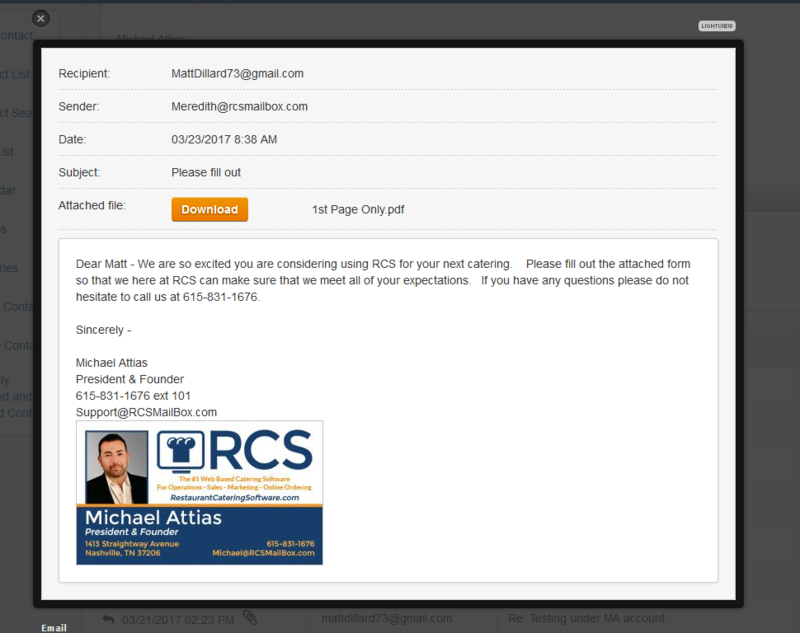 This email will remain in your CRM tab under the clients record.